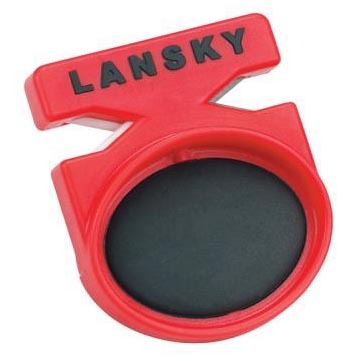 Lansky’s Quick Fix combines two great sharpening technologies to give you the fastest blade tune-up anywhere. Just 3 or 4 strokes on the tungsten carbide side and your knife is sharp. Or a few quick strokes on the Crock Stick ceramic rods can be used to touch up a blade. It’s that fast! It’s that easy! The compact Quick Fix is small enough for your pocket, tackle box, daypack, briefcase or purse.